While the most recent (2017) State Water Plan predicts a steadily rising population and growing municipal needs during the next 50 years, it also predicts the state will increasingly have fewer existing water supplies and higher potential for water shortages. 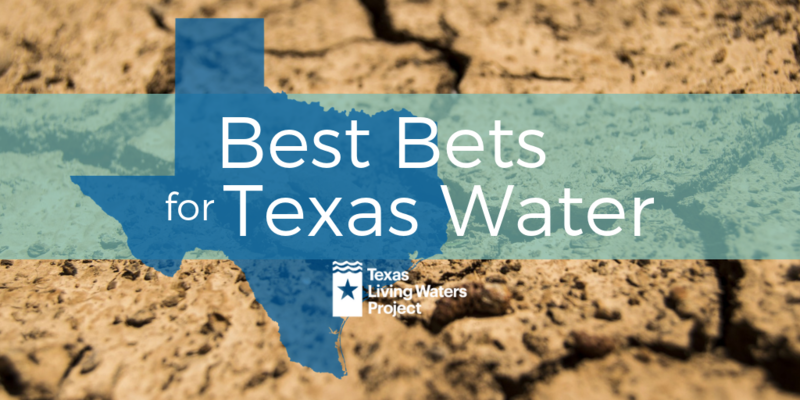 As Texans grapple with the challenge of providing enough water for a growing state and a changing climate, the Best Bets for Texas Water guidebook breaks down the pros and cons of different water supply strategies so that community leaders, water suppliers and residents alike can understand the potential impacts of different water supply decisions. How you can find out which water supply strategies have been proposed for your community.